This is the next tutorial in this Adobe Illustrator series. In this tutorial, I will walk you through the steps of using your brush tool. This tutorial will show you how to select your brush tool, select the brush you want to use, and use it. In this tutorial I will show you how to use your Brush Tool in Adobe Illustrator. With the Brush Tool, you can create borders, florals, vines, and a lot more. I will show you how to use the brush, how to open different brushes, and how to change the color of your brushes. I will leave the artwork up to you. To begin, you will need to create a new document in Illustrator to work on. First, you will need to find the brush tool. 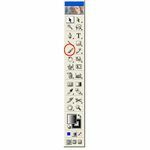 The brush tool is located in the main toolbar on the left side of your program. Look at the image on the left if you can’t find your brush tool. Once you find your brush tool, go ahead and click it. On the right side of your Illustrator window you will see a bunch of boxes. One of those boxes is the Brush Box. This is also known as your Brush Panel. Click the Brush tab in the box. If you don’t see the Brush Box, press F5 on your keyboard to open it. Now we will create a basic brush stroke. With your brush tool clicked, select a brush from the Brush Panel. Use your mouse to draw on your document. You can use the graphics brush to draw graphics on your document. Select the 3pt Round brush (first brush in panel) from the Brush Panel. Draw something on your document. Now we will change the color of the brush. Change the color fill of the brush to transparent. Then double click the Stroke box and change the color to what you want. That will change the color of the brush. To change the size of the brush, you will need to change the stroke size in the Stroke Panel. 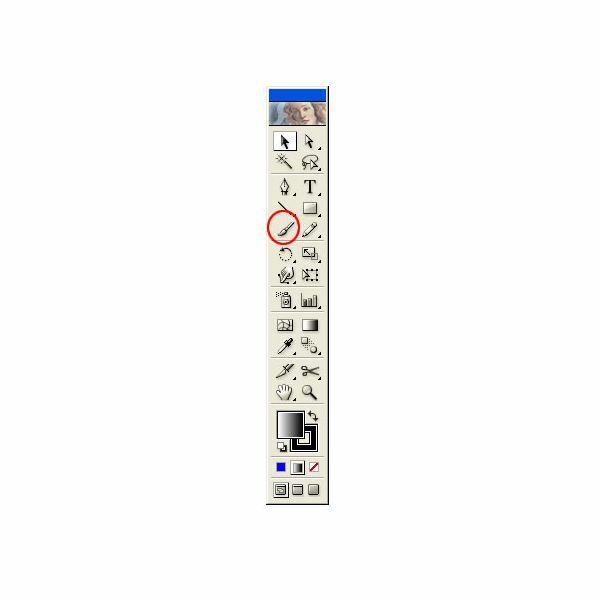 You will need to draw with your brush, then select it using the black arrow. Go to the Stroke Panel and change the stroke size. You have more brushes in Adobe Illustrator that you can use. The brushes that are open now are your default brushes. To open your other brushes, go to the top of your window and click Window > Brush Libraries > and select a brush library to open. The brushes will open in a new panel. You can also apply brush strokes to borders. For example, grab the square tool and draw a square on your document. Change the color fill to something. Then click a brush to apply to the border. That’s how you use the brush tool in Adobe Illustrator. You can create many different things using the brush tool. Open up your brush libraries and experiment with the different brushes. Images belong to the Author and are provided for educational purposes only.